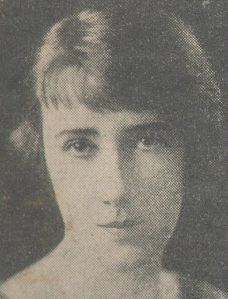 Louise Lightfoot, photo by The Bulletin 1929. Louise Lightfoot (1902-1979 was an Australian architect turned dancer, dance teacher, choreographer and ballet producer for the First Australian Ballet, Sydney in the 1930s. Louise Lightfoot began the FIRST Australian Ballet with Russian Misha Burlakov in the 1930s and together they pioneered the production of ballet in Australia. The First Australian Ballet was the first ballet company formed in Australia, decades before the Australian Ballet. Louise had trained and worked as an architect with Walter Burley Griffin and his wife Marion Mahony Griffin first at their Melbourne office, then at Sydney's Castlecrag estate. After seeing Pavlova dance, Louise met Russian dancer Misha Burlakov and they began dancing and performing together. Louise Lightfoot (at left) with Marion Mahony Griffin, Walter Burley Griffin and Walter's father, circa 1928, in front of the Griffin designed house where they lived at Castlecrag, Sydney.